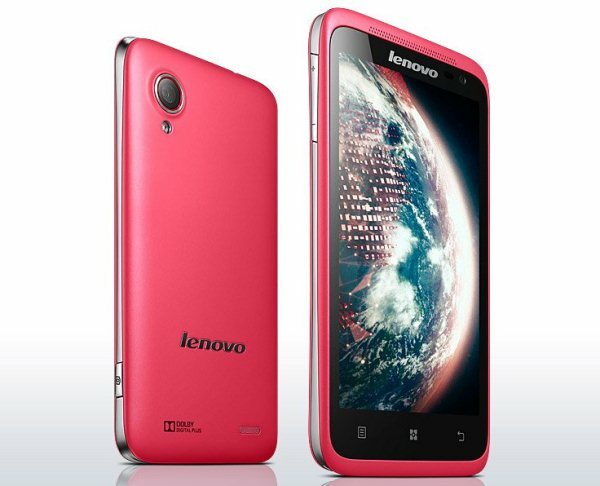 One of the fanciest-looking Idea Phones from Lenovo is the model known under the name of S720. This one is well-known for the Dolby Digital Plus technology it uses, as well as the dual SIM card and its impressive processor – dual-core 1.0 GHz one. If you purchased this one and have been using it for a while now, it is normal to occasionally experience a couple of software issues. These ones can all be solved by doing a hard reset on the Lenovo S720. As many of you probably know, the master or hard reset procedure brings any device back to factory mode. By the latter, we understand the original settings and software that the phone came with when it went out of the factory and was placed into shops. This is the way you bought it – without any files, with mostly no apps and no contacts or messages saved in its history. Now that you have such documents saved on the internal memory of this Lenovo phone, we recommend saving it before you proceed. Some other relevant features that make this IdeaPhone stand out are the long standby thanks to a 200 mAh battery, as well as the 8 MP super camera on its back and the high resolution 4.5 inches screen. Those who love variety will be happy to know that this smartphone comes in white, pink, but also grey. Its dimensions are 68.3 mm x 132.3 mm x 9.9 mm, and it is powered by version 4 of Android – the one known as Ice Cream Sandwich. You can listen to the radio on your Lenovo S720, as it comes with an FM receiver, as you’ll love taking advantage of the A-GPS, as well as the Wi-Fi 802, Bluetooth 2.1 and USB 2.0 HS. Its memory is of 512 MB RAM + 4 GB (emmc), but you can use a microSD card for storing some other 32 GB of documents. The 1 MP frontal camera is perfect for video chat, but we recommend using the rear one for photos and videos. No matter how well a smartphone functions and what features it came with, it is still possible for it to be attacked by a virus. When this happens, the device starts to slow down and have issues such as lags, fatal errors and crashes. While in most cases, these problems can only be solved via a hard reset, you can also try a soft reset before you get started. Shut the phone off and remove its battery from the slot. Insert this one back in after 30 seconds and press Power. The restart will take a few seconds, and you can use it the same as before. Make sure the phone is off and completely charged. Press Power for a bit, then press and hold Volume Up (2) & Power (1). When the Android logo can be seen, release both keys and wait. The Recovery Menu will load, then select Wipe Data with Volume keys. Confirm your selection with the Power button and choose Yes. Accept the Reboot System Now option and the process will begin. With the phone off, press and hold Camera (3) & Power (1) buttons. Wait for Factory Mode to load and select Clear eMMC using the Volume keys. Use Home button to confirm and the device will reboot by itself.